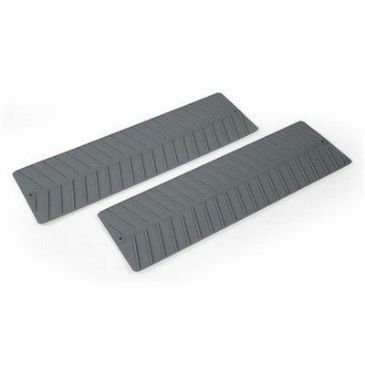 These Gripper Wheel Track Pair is an anti-skid track, ideal for use with your van, caravan, campervan, motorhome, or other recreational vehicle for when you need it most. 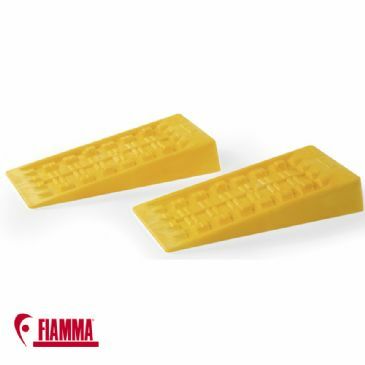 This Fiamma Chock Level is for use with the level up, level pro, and level system magnum to secure the wheel of your caravan, campervan, or motorhome during your outdoor adventures. 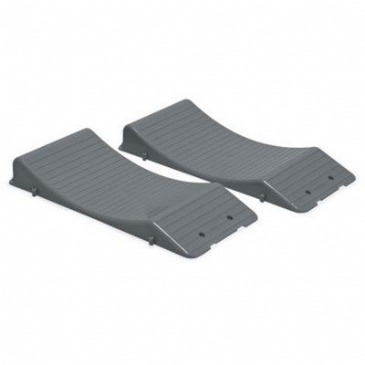 Fiamma Grip System (97901-055) Anti-Skid System with superior traction, ideal for slippery surfaces such as snow, ice, mud, can be used with Fiamma Level Up. 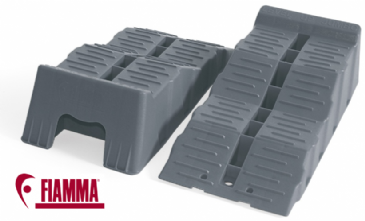 The Fiamma Level Up Jumbo levelling kit includes two Fiamma Level Up Jumbo levels, perfect for keeping your motorhome perfectly levelled and a convenient level bag for storing your levels when not in use. 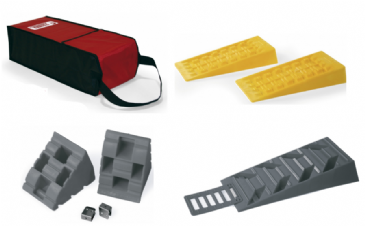 The Fiamma Level Up leveling kit includes two Fiamma Level Up levels, perfect for keeping your motorhome or caravan perfectly leveled, and a convenvient level bag for storing your levels when not in use. 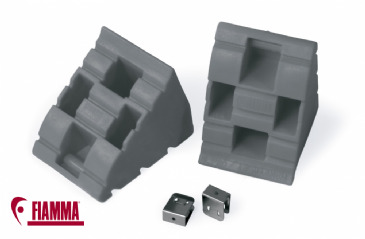 This Fiamma Chock Level Bag is to hold and store your level up and chocks. The bag itself comes in an attractive red colour. 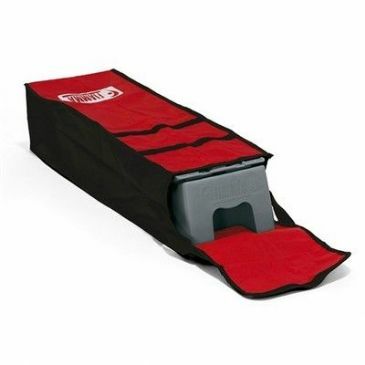 To hold and store your level pro, level system magnum or wheel saver. Made of polyester so it can be easily washed. 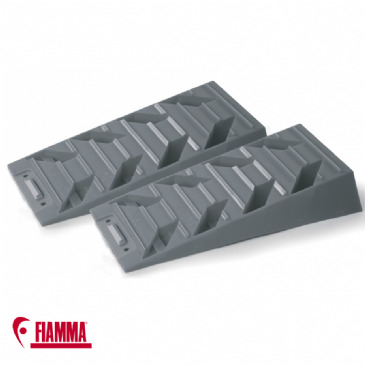 Fiamma Level Plate is an innovative anti-skid system designed to be easily installed to the bottom of Fiamma Level Up with the standard delivered screws. 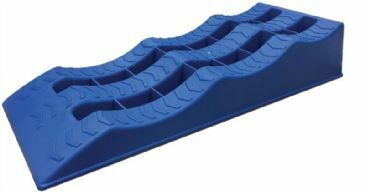 It increases the level of traction of the Fiamma Level Up, avoiding skids on smooth surfaces and sinking on soft grounds like sand and mud. Built with integrated and comfortable carry handles. 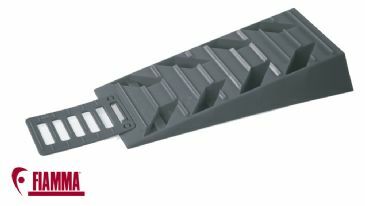 This Fiamma Level Pro Caravan Leveller is the ideal solution to level your caravan, campervan, or motorhome. Featuring a new and innovative design from Fiamma, its solid HD and UV-resistant polyethylene anti-slip finish and practical self-locking overlap system will ensure that your caravan is levelled during your outdoor camping adventures. This Fiamma Level Pro Kit contains all you'll need to suitably level your caravan, campervan, or motorhome whilst you are on your outdoor adventures. This Fiamma Level System Jumbo features a practical self-locking overlapping system that can raise the height of your caravan, campervan, or motorhome. Ideal for twin tyres. This Fiamma Level System Magnum is a practical self-locking overlapping system from Fiamma that will level your caravan, motorhome, or campervan during your outdoor camping adventures. 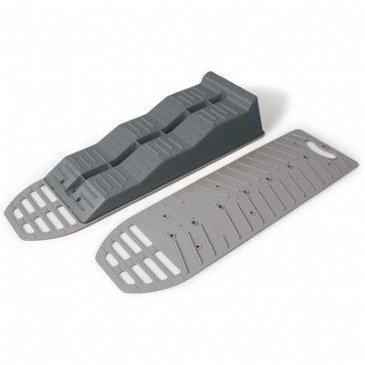 This Fiamma Level Up Caravan Leveller will keep your motorhome, campervan, or caravan perfectly levelled for improved operation of equipment when parked on uneven ground. 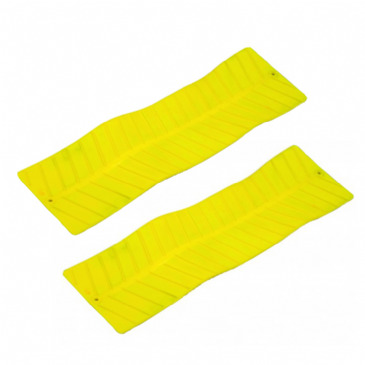 Featuring a solid construction in UV-resistant polyethlene, it will not crack or break like wood and is easy to clean. The Fiamma Wheel Saver has been specifically designed to prevent the deforming of caravan and motorhome tyres, which can occur during long periods of parking. A unique product that features a 'clip together' system that allows sets to be locked together side by side thus making them better suited for the twin wheel caravan or motorhomes.